I wrote this review of the Marco Polo ship after being on board a 32 night Caribbean cruise. I went on again a few months later to visit the Baltics for 12 nights. This review however is based on my Caribbean cruise as it was a slightly different experience from the second cruise. I think this was due to being on a 32 night cruise voyage on such a small ship meant I got to know all the crew and most of the passengers. We were all like one big happy family with the entertainment staff sitting down having a chat with the passengers and lots of fun and games. Plus I was cruising solo so I think I interacted more with others. The 2nd cruise was only 12 nights and most of these were in port plus I had a friend with me so it was a totally different experience. I did enjoy both times on the Marco Polo ship though so would say a short or long cruise would be fun. I have to say I had never heard of the Cruise and Maritime fleet until I came across this cruise but they actually have some really good itineraries. Plus a lot of their cruises are buy one get one free so if two people are sailing you can save a lot of money however not the best for solo cruises like me. The Marco Polo dress code varies depending on what night it is and if they have a special theme which is quite common on cruise ships. During the time in the Caribbean it was more casual as the weather was just too hot to be dressing up. A lot of people would sit out on deck with Hawaiian style shirts but to go in the restaurant they did change into something a little plainer. I actually really like this ship however the one thing that does let it down is the food and if I was going on such a long cruise again this could put me off. Hopefully it has improved as a lot of the passengers were moaning about it. Don’t get me wrong not everything was bad but when I am asked what I didn’t like about the ship the first thing that comes to mind is the food and being a foodie it was a problem for me. There are three dining areas on the Marco Polo, the Waldorf restaurant, the Marco Polo Bistro and the Pool Deck Grill. The dining areas are clean but it is difficult to get a table in the bistro at some times of the day. It is quite a small area; they do have outside seating though only if the weather is OK. At lunch times I varied where I would eat depending on what mood as I was in, as if I didn’t want to talk to anyone I wouldn’t go into the Waldorf as there was nothing worse than sitting on a table with someone who isn’t joining in the conversation. Sometimes I got my food from the bistro and took it back to my room as this was easier than trying to find a table. Tip: If eating alone take a scarf to put on your chair so if you get up to get some more food people won’t sit in your seat. The choice of food is limited compared to other cruise liners. On the rare occasions (excuse the pun) that beef was served e.g. beef wellington or steak no one was asked how they liked it cooked and it came well done and tough. Nothing seems to be repeated on the menu but it all seems to taste the same if that makes sense. They put out smaller portions in the self-service bistro but they are regularly monitoring when they are running low and stock up, which is great for hygiene reasons. They have a different soup of the day that are fresh and tasty they even make their own bread rolls. They have salad options and vegetarian, although it’s not vast but neither are any other options but I did always manage to find something I liked on the menu. I was on the ship for a 32-night cruise and the food seemed to have lost its quality as the days went by. At first there was delicious thick cut bacon for breakfast but after a week or so it went to the American style bacon that was quite hard to eat as it was overcooked and very crispy and I have all my own teeth so god knows how people with dentures got on with it. The food is either overcooked or really bland. The hash browns are so well cooked that there is no hash left it is rock hard greasy brown coating. The desserts are nothing to write home about in fact out of all the days I think I have only come across three desserts that were nice and I am a chocolate lover so normally anything with chocolate in will be good but not on here. They had a chocolate buffet which was spectacular to look at but didn’t quite do it for my chocolate tooth. There were a number of drink packages available although they seemed quite costly lots of people were purchasing them. I however didn’t think the all-inclusive option would have been cost effective for me. It was £17 a day which is OK at first but I think it would encourage me to drink more as I would want to be getting my money’s worth. This would have been a total of £544 and my bar bill was £200 so it was the right choice not to purchase. Although I could have easily of had a few more of the cocktails each night as they were delicious. I was happy with the size of my cabin (629 single deck 9). When I first arrived I thought it seemed quite small but cabins are never huge on ships anyway unless you have a suite. The thing that was strange was according to the deck plan I was in a solo cabin but I had two single beds, was this in case I met a friend along the way. Storage space is limited, it is OK for a solo traveller but I have heard other’s complaining there isn’t enough room when there are two in the cabin. Passengers were keeping clothes in the suitcase under the beds. Although I visited a few cabins on different floors and they had lots more storage space. The bathroom is adequate though the water pressure wasn’t great in my cabin, but you are encouraged to conserve water so no long showers plus its either really hot or really cold so you want to be quickly in and out. One good thing not sure if it’s just the location of my room but I didn’t hear the showers running or the flushing of toilets from other cabins as this has sometimes been a problem on other cruise ships. The beds are really comfortable with a thin duvet, decent quality pillows and non-scratchy sheets. I slept so well in fact I wanted to sleep so much as it was very comfortable along with the rocking of the ship. The room doesn’t have little touches like sweets, chocolates on your pillows, fresh flowers or towels made into animal’s but it’s a decent nights’ sleep. We got Easter eggs during our cruise which was so nice everyone liked this gesture. There is a TV in the room which has 3 film channels, 2 TV channels but these loose connections when you out at sea, the ships channel so you can see the cameras on ship and nautical information and a ships DVD channel which they are filming throughout the cruise. But to be honest at £59 the DVD is really expensive as it isn’t the best quality of filming but some people did purchase it. I was lucky to have an unobstructed window, I think I was on the best deck though I haven’t slept on any others to compare, it was definitely the best location for me. I didn’t hear any noise from the show lounge or the bars. Sometimes when a show was on in Captains bar, which was directly under my cabin, I could hear it but this didn’t happen often and if it did I was mostly listening to it in the bar rather than my cabin anyway. Sometimes there was a smell of diesel but it didn’t cause me any problems. The temperature in the room is controlled by a panel on the wall. When we first got on board it was freezing even if you altered this, the whole ship was very cold but it warmed up after a day or two. There is a hairdryer but it’s something out of the dark ages and not very powerful so don’t expect much. There are two tumbler glasses in your room, no drink making facilities although you can get tea and coffee 6am-12am and as its quite a small ship it doesn’t take that long to get to the bistro. Towels and beach towels are provided, they’re not super soft they do the job but if you like comfort bring your own. My cabin steward wasn’t very friendly but she did a good job and kept the cabin clean though I did get into trouble by removing a tumbler glass from my cabin when I went for dinner and as it got quite rough whilst I was there I didn’t risk bringing it back as I needed both hands for balance. I was told to go and find it and it wasn’t replaced by her for the remaining days of the cruise. There is a speaker system in the room which you can turn off but even the one in the corridor is loud and will definitely wake you up if you want a lie in. The cruise director made 3 daily announcements of the entertainment. Some people liked this as it woke them up just before 9am and used it as an alarm clock but there is a daily programme delivered to rooms so I really don’t think this is necessary unless there are changes to the plan. If people have difficulty and can’t read the programme it is also in reception so they could ask for assistance there to be honest it was quite irritating three times a day. I saw some other cabins one which was a suite and quite large I would definitely like to stay in one if it’s not too expensive as it’s not worth paying too much more. Unfortunately, no cabins have balconies but there is plenty of deck space to sit out on. 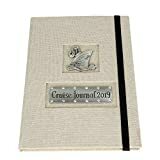 Cruise Travel Journal - Cruise Journal 2019 with vintage ship design, A5 size with 120 lined pages and interior pocket, complete with smart drawstring canvas bag. 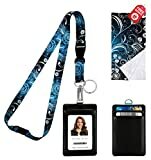 Vintage Floral Print Lanyard with PU Leather ID Badge Holder with 3 Card Pockets. 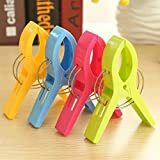 Safety Breakaway Clip & Key Ring. Mini Note Card & Large Ultra Fine Microfiber Cleaning Cloth. The entertainment is quite varied, I was on board on for 32 nights and no show was repeated. Not all of it has been to my taste and I didn’t attend the evening show every night but what I did see was enjoyable. It is not the west end and the entertainment crew on board are not the best of singers or dancers but because of their bubbly personalities it makes up for it. By the end of the cruise you feel as though it is your friends dancing and singing for you. I was on 1st evening meal sitting and the timing worked out well, as after dinner we had time for a drink before the evening show, then a gameshow, then cabaret. My favourite night was the crew party. It was mentioned that guests were welcome but the music might not be to everyone taste. The music was brilliant it was modern and got people up dancing it was a great night. A local school for handicapped children came on board and played some steel drums to raise some funds towards rebuilding their school. The passengers made donations and nearly £2000 was raised. There were three guest acts but they were male comedians and to me they seemed too much like each other. I think it should be mixed up a bit and have more variety. There are lots to do during the sea days. They had a few themed nights, a good one was the pirate evening. At dinner all the servers came out dressed a pirates which was fun. They had a pirate show on deck where the hostess manager was rescued from pirates by the captain all a bit of fun. They had a boat race where you betted on a number which was a member of the entertainment staff and two dice were rolled and each time their number came up they moved forward. I won £7 from a £1 bet not bad. They had other themes such a Greek toga night and St Patricks night. Our evening waiter in the Waldorf was very good he was attentive and polite and all the crew worked so hard to make it as enjoyable as possible. In general, the bar waiters and waitresses were quite friendly and a lot of them liked a bit of banter. Lovely jubbly, the Indian delboy was the entertainment as he made the omelettes for breakfast or worked in the pool grill at lunch time. The crew are generally really friendly though I think towards the end of the cruise they were either getting tired or something had upset them as they got a bit snappy and started to look miserable. I asked for a glass of water and got the filthiest look and then got the glass slammed down on the table and others noticed it not just me or my group. If the price and the destinations are what I want, then I would possibly return to this ship though it wouldn’t be my first choice unless the food improved a lot. The passengers were mainly English and the ship reflected this with all its entertainment and information being in English. One of the best comments were “it’s the smallest cabin we have ever had, we normally get nice sized rooms as we go for suites” well that’s the reason then……. There are two shops a duty free shop and a general shop that sells a small collection of books or clothes. It had one flavour of crisp paprika and small selection of chocolate but to be honest at £7.99 for a bag of M&Ms I can hold of my chocolate cravings. They offer a free tour of the bridge which is very informative and interesting. Other cruise lines I have been on charge for this so this is a plus point. There was a special meal you could purchase that also included a tour of the galley I would have done this but I didn’t like the food that was on offer. The Marco Polo has meet ups for solo travellers, during this cruise there was one coffee morning and two lunches. They did say they would arrange a meeting point for solo travellers when in dock but they never did or if they did I wasn’t aware. This is not a lot of meetups considering it was a 32-night cruise lots of the solo passengers were complaining about the lack of support. I was lucky that I get on really well with my dinner table and met them regularly but some other solo passengers were finding it quite a lonely experience. The daily programme is informative and if there were any changes to the schedule these were announced over the tanoy system. I liked the fact that each day gave you a biography of a different member of staff. Also the port information is excellent a two-page document giving you essential information for when we docked. Overall I really like the Marco Polo see what makes her special, the only thing to let it down is the food if this can be improved that it would be the perfect ship and I would go on much more. Article originally posted in Aug 2016 and has been updated April 2019 with more details. I have updated this article as I wrote it when I was just starting blogging but now my writing skills are improving and I have added some extra information. the food looks great, too bad it didn’t taste that great! I’ve never been on a cruise but this looks like a great experience! Wow those foods are like so festive, plus the entertainment! I love cruising and I will add this MV to my list. Chuckled at the thought of people with dentures eating the bacon! Great write up – paid such attention to detail and it felt like I was there right along with you. I have never been on a cruise and would love to. I plan on doing so one day with my husband. I think it would be another great way to experience and see the world. I’ve never been or, or even considered going on a cruise, but this was useful for me to get an idea of what it would really be like. The room might seem tiny to some, but I actually like it, and it’s great that you got one with a view! That is a great tip about the scarf. I have only been on one cruise. The dinner was delicious but other than that, the food during the day was not too impressive for us. This is a thorough and detailed review and you have covered all the essentials. I appreciate your frankness as it definitely sets the right expectations with the readers. But hope you still had some amazing experience on the 32 day cruise. I would really love to go on a cruise. I’ve never been! I hear they can be tricky for a solo traveler. But I’m not sure I could go on this one unless the food were better. I just adore eating! Woah I can’t even imagine a 32 night cruise! We used to go on cruises with my grandparents but never more than 4 nights or so. It’s nice to read such an honest review! You managed to talk about the experience without sounding like someone in sales, so thank you! I’ve only ever been on one cruise, and it was an experience I’d love to repeat. This sounds like a very interesting experience and your route is really great. 32 days might seem to be too long, did you feel that way before buying the trip? The cruise looks quite good as per your review. Too bad that the food was a letdown. Great food is a given expectation on cruises. This is amazing, Linda! I haven’t joined a cruise in my life, and I’m wondering if it is for me. Issues like seasickness, big waves, and other extreme cases bug my mind. But looking at it, cruise is something I should accomplish before I retire from traveling. Very thorough and informative. We are on a 71 day cruise round South America next year so this has set our expectations. Thank you.